Vietnam sends special envoy to meet Chinese president after China’s 19th Party Congress. On October 30, Xi Jinping, Chinese president as well as general secretary of Chinese Communist Party (CCP), met with Hoang Binh Quan, the special envoy of Nguyen Phu Trong, the general secretary of the Communist Party of Vietnam (CPV) Central Committee, in Beijing. Both Xi and Hoang called for “joint efforts to promote the sustained, healthy and stable” relationship between China and Vietnam during the meeting, according to China’s state agency Xinhua. 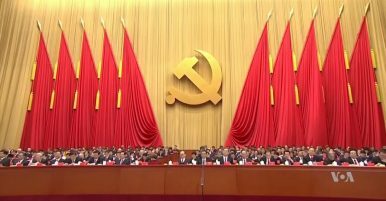 On October 18, when the CCP’s 19th Party Congress opened, all the other four socialist states have sent congratulation letters to the CCP. Particularly, the CPV said in its letter that the CPV and the CCP had “united closely, helped each other and experienced various tests in the revolutionary struggle and national liberation cause.” The CPV, together with its nation and people, will “always bear in mind the great support and assistance of the CCP” and promote mutual relations as “good neighbors, good friends, good comrades and good fellow,” the letter read. Days after the Party Congress, the CPV sent Hoang, the special envoy as well as the head of the Commission for External Relations of the CPV, to Beijing for a person-to-person exchange with the CCP’s new leadership. Xinhua didn’t clarify what the “related issues” actually are, but it’s widely known that Vietnam has been protesting against China’s activities in South China Sea for years. Meanwhile, Hoang’s counterpart Song Tao, the CCP’s Minister of the International Department, will also visit Vietnam and the Laos as Xi’s special envoy to give a briefing on the recently closed 19th Party Congress from October 31 to November 3.